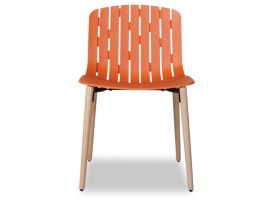 Original Gotcha chair in orange is the wow factor, springing from the mind of Spanish design duo Enrique DelAmo and Angel Marti for OOland. 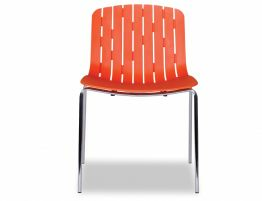 This orange dining chair began quite simply, the idea was to establish an oversized chair with a split backrest to optimize comfort. 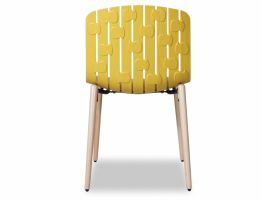 Eventually, this orange dining chair took on a more understated contemporary look that offers up just the right mix for your modern kitchen chairs or practical and comely commercial dining chair for your café or restaurant. Gotcha café dining chair is stable, well made and just the thing for bustling family kitchens or lively café or restaurant dining rooms. 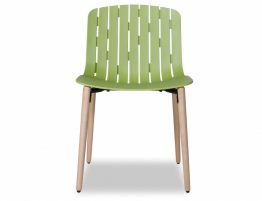 This modern fun café chair looks smart with a clean form and crisp, contemporary vibe.